Home > Events > Spring has nearly sprung! With spring newly arriving many of us are ready to dust off our gardening gloves & start working the soil. Before you place your seed order please check that the beauties you are about to nurture in your garden aren’t invasive! Many invasive plants were originally introduced as garden flowers and to this day some gardens continue to be a problematic source of spread. Unfortunately some plants do not stay contained in a garden and can cross boundaries to create serious ecological consequences for our native plants & animals. 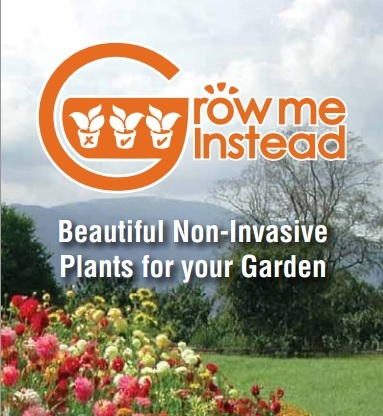 The Invasive Species Council of BC has an excellent resource “Grow Me Instead” that can inform gardeners decisions when choosing plants while offering alternatives for those with invasive characteristics. Do the right thing and make sure you are not harboring invasives! Visit our Resources for gardeners page for more information or contact us to book a presentation for your local gardening club.